A World War II-era Zero fighter plane flew above Japan last week, offering a sight seldom seen since the end of World War II. Flown by retired U.S. Air Force pilot Skip Holm, the restored airplane took off from a naval base in Kanoya, near the southernmost tip of the country. “I wanted for the people of Japan and especially young people to know about this Zero airplane, as well as those who are old who remember the past,” said Masahiro Ishizuka, who bought the airplane in the U.S. and brought it to Japan last year. 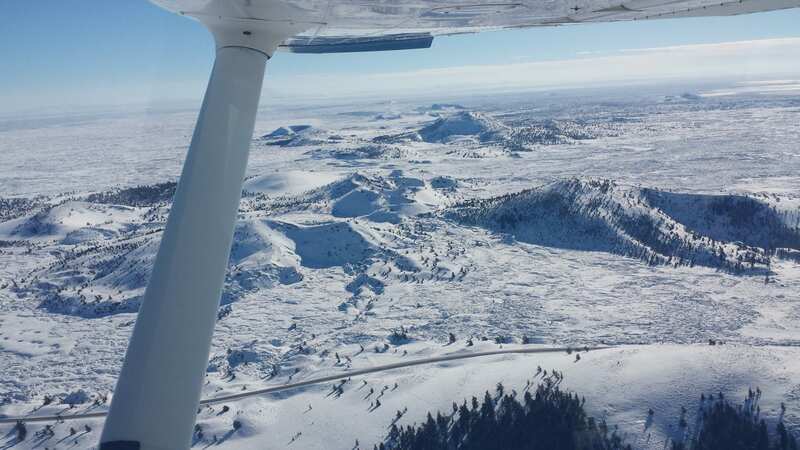 Garth Baker snapped this shot looking southeast across the snow-covered Craters of The Moon National Monument in Idaho on Jan. 2. Have you equipped for ADS-B? What did you add to your plane and do you plan to add more? What did you learn from the experience that other pilots could benefit from? If you haven’t equipped yet, do you plan to by the 2020 mandate? What other avionics have you added recently? Was it a worthwhile investment? You can add your tips on anything related to general aviation on the form below and even include a photo of your panel or plane. Up to 3 files. Maximum file size is 1.4 MB. Not for spamming! Just in case we need to get in touch with you. A Delta Airlines flight from LAX to MSP last week diverted to Salt Lake City after what is reported to have been a fist fight–involving at least two flight attendants. The Aviation Herald is reporting the captain of Flight 2598 headed the Boeing 757 for Salt Lake Jan. 22 after two flight attendants were in a dispute that got physical. WASHINGTON, D.C. — The Department of Transportation Inspector General has released a scathing report outlining numerous shortcomings of the FAA’s efforts to implement reforms intended to help the agency operate more effectively and efficiently, improve the delivery of air traffic services, and modernize the U.S. air traffic control system. The report finds that the FAA’s efforts have fallen short of anticipated cost savings and operational efficiencies, as well as in improving the delivery of new technologies and capabilities. According to the Inspector General’s report, although the FAA has implemented performance-based compensation systems, established the Air Traffic Organization (ATO), contracted out flight service stations operations, and reorganized multiple times over the years, costs continue to rise while operational productivity has declined. The FAA has also missed opportunities to complete large-scale facility consolidations that would maximize operations, improve the flow of air traffic, avoid the cost of maintaining aging facilities and facilitate the transition to NextGen capabilities. Furthermore, major FAA air traffic control modernization projects continue to experience problems that delay the introduction of new technologies, postpone benefits to users, and defer the retirement of costly legacy systems, the report noted. The Inspector General found that several underlying and systemic issues, including overambitious plans, shifting requirements, software development problems, ineffective contract and program management, and unreliable cost and schedule estimates, impact FAA’s ability to introduce new technologies and capabilities that are critical to transitioning to NextGen. The Inspector General’s complete report, “FAA Reforms Have Not Achieved Expected Cost, Efficiency, and Modernization Outcomes,” is available here. American Legend Aircraft Company reports it is now sponsoring Greg Koontz Airshows in cooperation with C&D Aviation, an aircraft sales and service center. 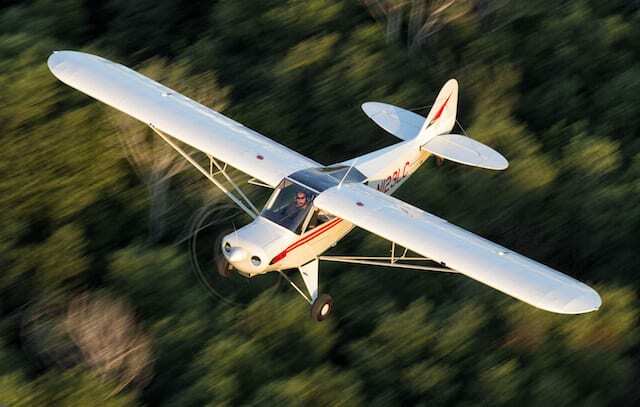 Under the agreement, one of Koontz’ signature airshow acts will feature the Legend Cub. 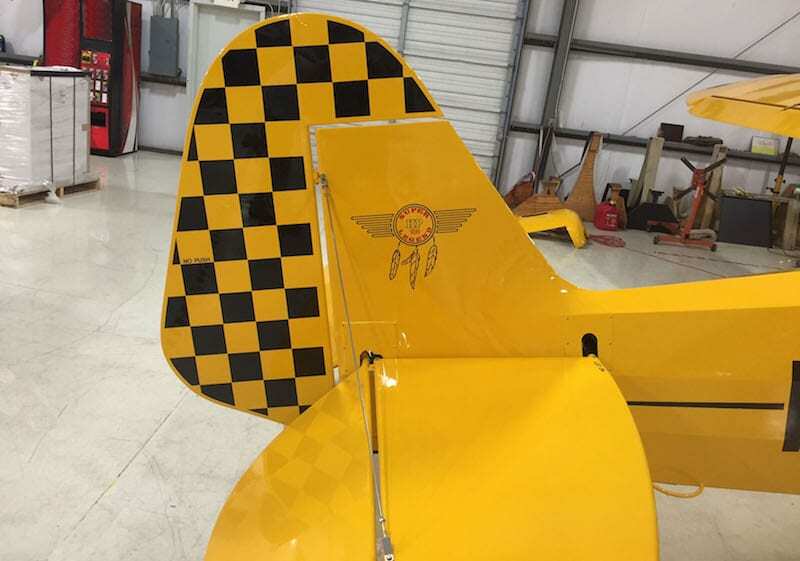 Based at Bessemer Airport (KEKY) in Bessemer, Alabama, C&D Aviation specializes in Piper Cub parts and building and restoring aircraft. Koontz is a popular showman on the national airshow circuit. When performing, he offers two distinctly different acts. One is a solo aerobatic routine that culminates with his aircraft flying low and inverted for a ribbon cutting. The Alabama Boys act was originally flown in a 1946 Piper J-3 Cub. In the skit, Koontz dognaps the airplane. As crewmembers chase him down, a wheel is shot off. Koontz lands the Cub on a moving pickup truck. Beginning this year, Koontz will perform his Alabama Boys show in a newly manufactured Super Legend HP (like the one pictured above). The Legend Cub will make its debut in Koontz’s act at this year’s SUN ‘n FUN in April. Constant Speed Propellers Explained By The Company Ever wondered how a constant-speed propeller works? Here’s an explanation of from the Hartzell blog about how constant-speed propellers power airplanes through the skies. No Price Increase For The Upgraded Device As an integral part of PS Engineering’s continuing efforts to improve cockpit audio management, the company is announcing the new PMA8000BTi audio selector panel, a version of the very popular PMA800BT that includes IntelliAudio spatial audio technology. Shipments of these units begins February 1st, 2016.